I f you’ve spotted any of these problems it really is time to act before your situation gets worse. 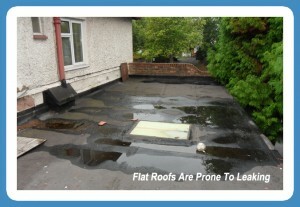 Attempting to patch an area in the roof felting on a flat roof that’s prone to leaking is not always the best solution. Sometimes replacing the roofing completely is the best long term decision you can make. 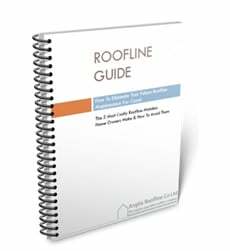 Flat Roof Replacement – What Are The Options? Polyvinyl Chloride – this chemically produced material is best for small flat roof surface areas, such as sheds or garages. However, if a low grade material is used it can become brittle through exposure to sunlight over long periods. Cheaper material is likely to sag, creating pools of trapped water on your flat roof surface. Asphalt – is a liquid compound that is sticky and is used to coat the flat roof surface. It is similar to the material used on pavements and roads. It does need to be applied by a professional contractor and you may have to put up with noxious fumes during installation. The main issue is that water slowly degrades the surface so it is not really recommended as a long-term solution. Fibreglass – is a combination of materials but primarily it is a fibre reinforced plastic resin intercut with fibres of glass for strength. It is extremely versatile and can last for 20 to 30 years. However, it is significantly more expensive than other flat roof covering options. Rubber – this is a bituminous waterproof material known as EPDM – Ethylene Propylene Diene Monomer. It is an extremely weatherproof flat roof covering and withstands the long-term effects of intense rain and sunshine. It is easy to repair if any damage occurs (such as a tree falling on your property). It is ‘cold-fitted’ and contains no toxic ingredients so is environmentally friendly. Which Flat Roof Covering Do We Recommend? Our recommendation, for less hassle for you during fitting and a worry-free long term solution, is to opt for the rubberised (EPDM) solution. Why is this a better choice? There are no hot liquids pouring onto your flat roof (a friend told me about the re-roofing carried out on her dormer flat roof. . . an aperture around a vent pipe allowed hot, bituminous asphalt to leak into her airing cupboard ruining a large quantity of her bed-linen – she was not a happy lady!). No naked flames are used on your flat roof to seal joins, as required for other bituminous roofing materials. It also means there are no toxic fumes around your property during installation. The material we use; RubberCover® supplied by the reputable firm Firestone™, is guaranteed for 20 years with a stated life expectancy of 50 years (based on an EPDM scientific test survey carried out by SKZ—TeConA GmbH, Würzburg on 24/3/2004).). RubberCover® is environmentally friendly – in most cases it can be laid over existing roof felting, eliminating the cost and environmental issues of disposing of the old material currently fitted on your flat roof. EPDM is recyclable so disposal, when the time does come to refit, has no impact on landfill sites. Where Can RubberCover® Be Installed? RubberCover® is suitable for all types of residential flat roof surfaces; from a dormer roof to a summer house, as you can see in the panel of photos of installations. Choosing a reputable firm to supply and fit your new flat roof covering is key. Like any building work, shoddy fitting can create unnecessary problems. So why choose Anglia Roofline? As I said, we do not employ high-pressure salesmen or questionable selling techniques. 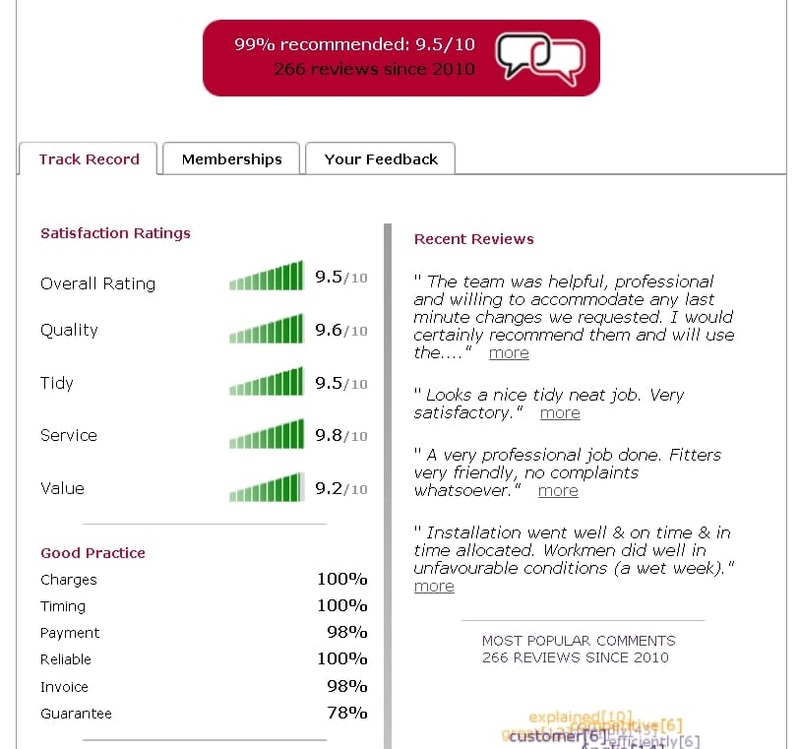 It takes me less than 30 minutes to inspect your flat roof and I give you a written report and quotation for you to consider at your convenience. Contact me now to organise an appointment to suit you.Simply call 01603 872 049 or fill in our contact form to request a no-obligation visit and quote.